Prestashop Marketplace Product FAQ : The module is an add-on for the marketplace module. With the help of this module seller can add some frequently asked question (FAQ) with the product in any language and can give some extra information to buyer. This will enhance the sales also, as now the buyer will have lesser queries. Seller can add FAQ with the products. 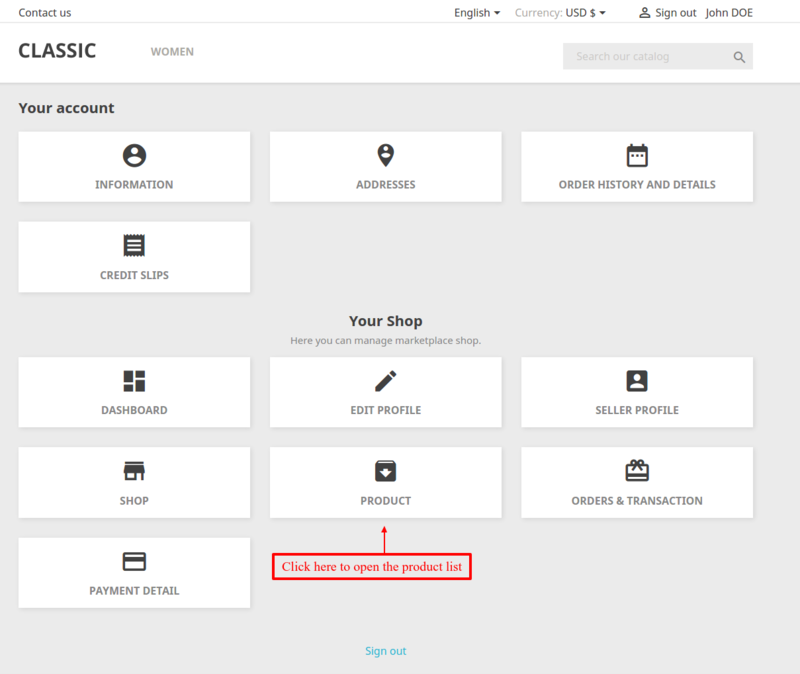 FAQ’s are listed on the product detail page. 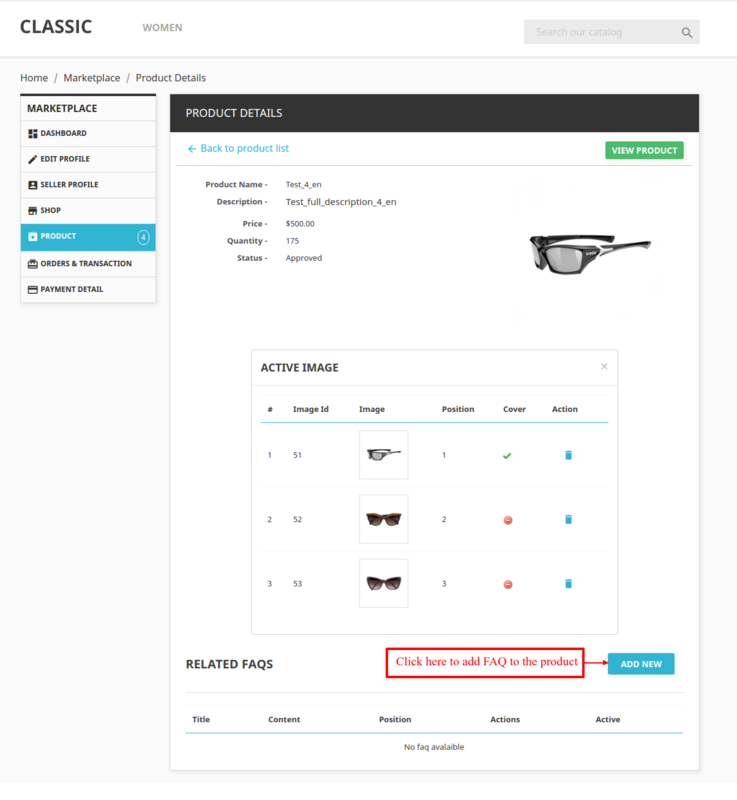 Admin can set the appearance of FAQ on the product detail page. Seller can edit or delete the FAQ. Seller can write the FAQ in multi-language. For installing Prestashop Marketplace Product FAQ module you need to install marketplace module first. After installing marketplace module you can start the installation of Prestashop Marketplace Product FAQ. 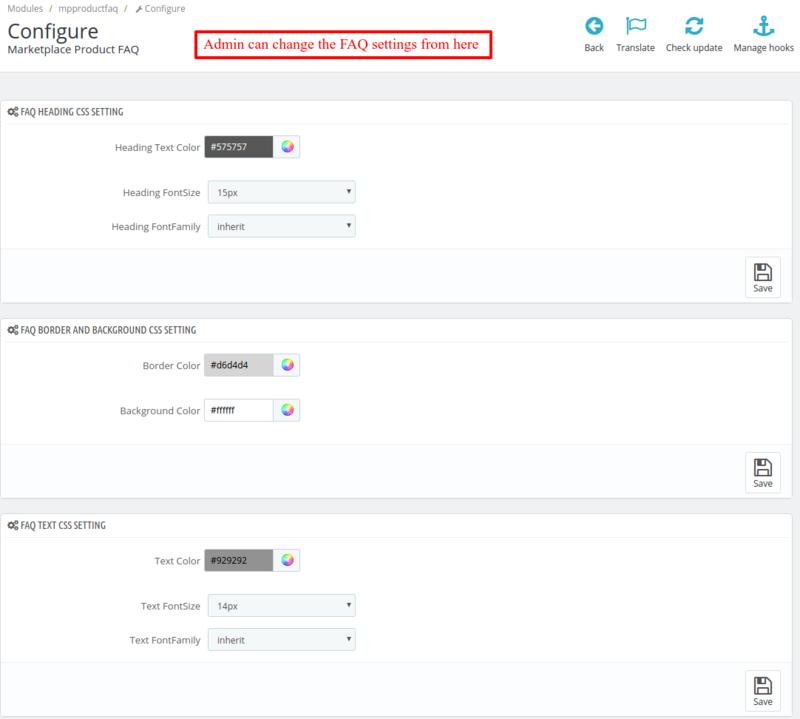 Admin can set various settings for the FAQ from module configuration. 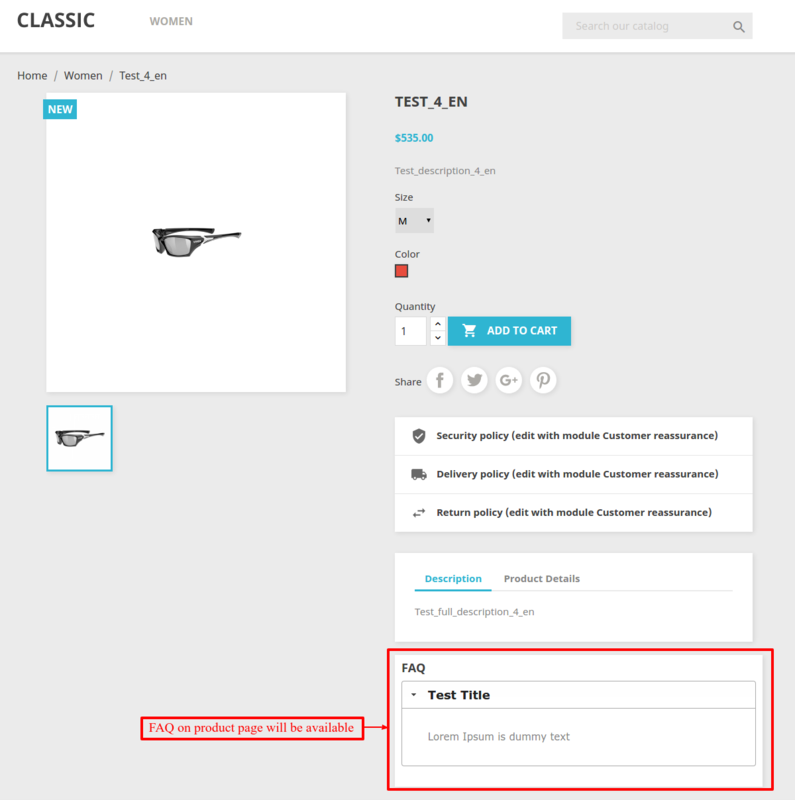 To add new FAQ with product, seller needs to visit their product list page. 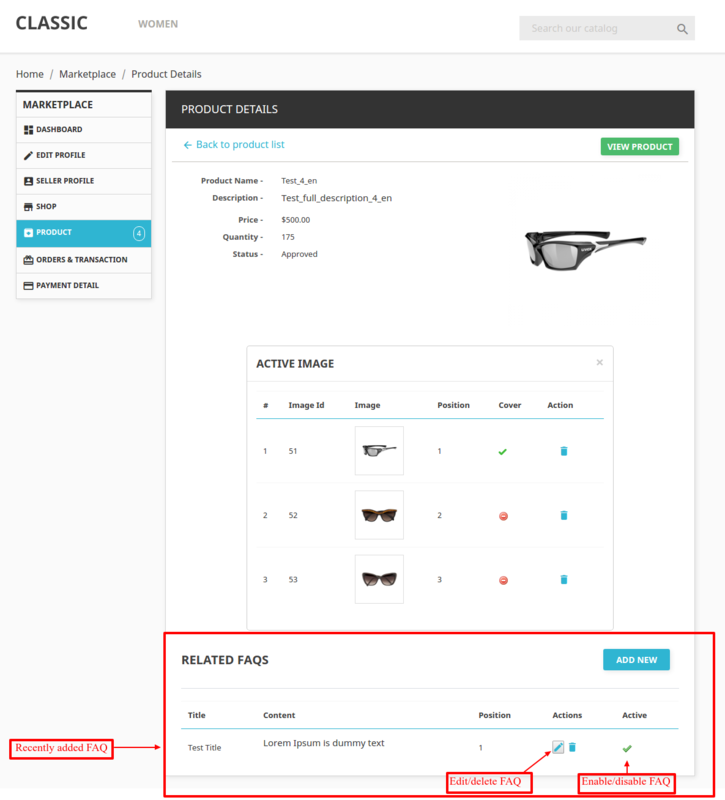 Clicking on any of the product from the product list, will take you to product description page. Sellers can add FAQ on their products from here. By clicking on add new button a form will pop up for creating new FAQ. Sellers can add FAQ in multi language as well. On FAQ list you will get different options like edit,delete,active,inactive FAQ. 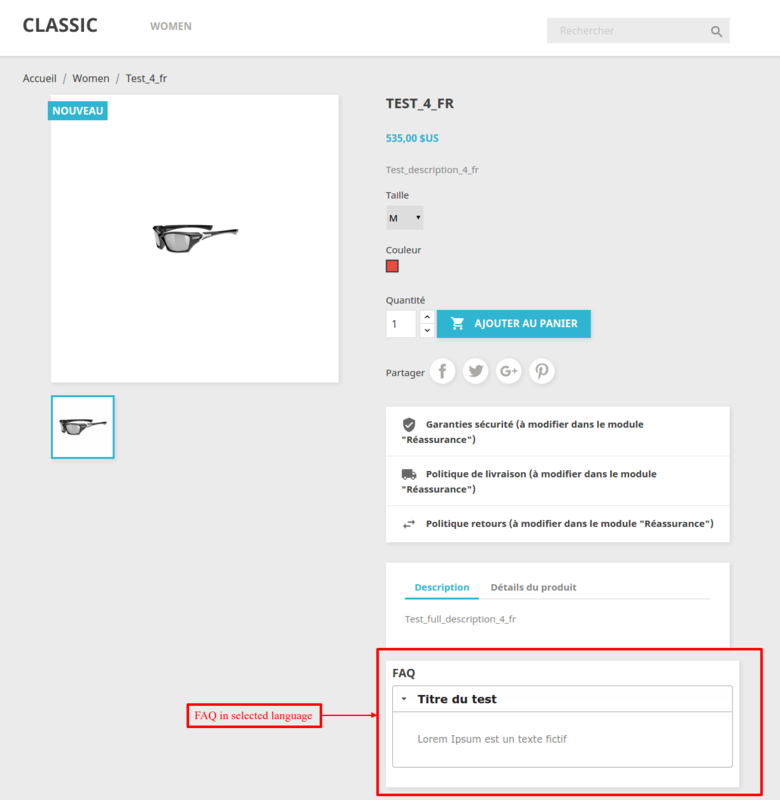 If seller has written the FAQ in other language and that language is selected by buyer, then buyer can view the FAQ in the selected language. 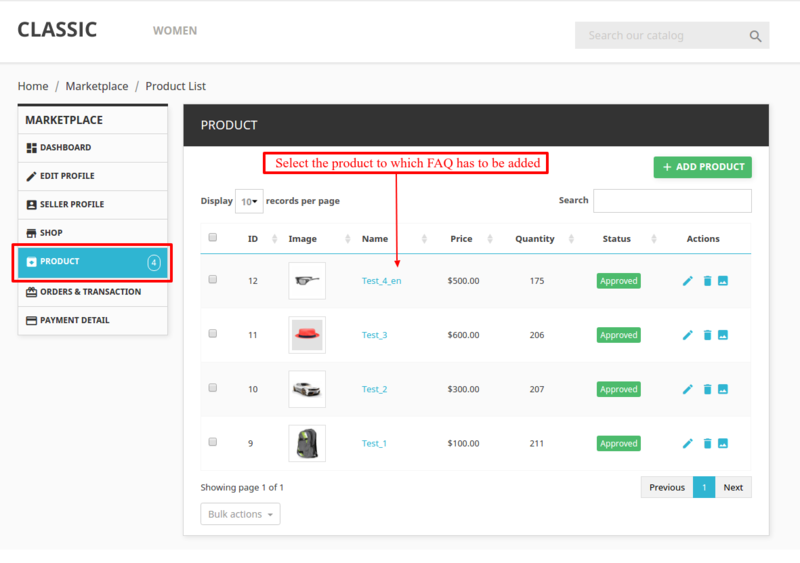 This is how sellers can add FAQ on their product using this module.